Even though there’s still snow on the ground, we have been busy prepping to start in the greenhouse. Most of our seed orders have come in, and we will start seeding hot peppers and early tomatoes this week. 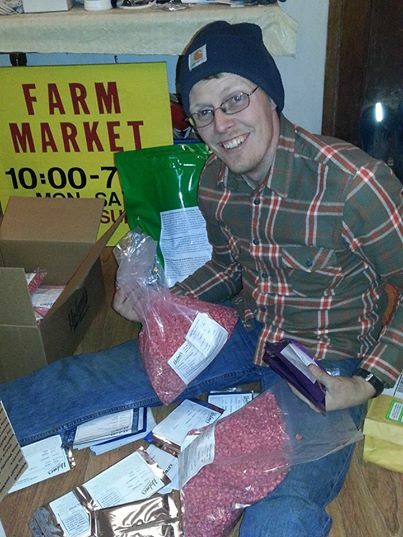 Eric was like a kid at Christmas going through all his seed orders! Come on Spring, hurry up and get here!!! !